Wanted to know where you stack up against the field during a session? With the DriverMonitor app you can now have in-car timing and scoring information when you want or need it. Been pipped from the pole? You’ll know that immediately and prep your tires to set off on another flyer. Wanted to know how fast your in-class competitors are on the track compared to you? You’ll know lap times or splits to your competition even if you're not quite close enough to see. Wondered how many race laps are completed or are remaining? DriverMonitor tells you during the entire session. Sign up with your email address to receive news and updates about DriverMonitor. Your email is safe! We will never sell your information and only use to contact you about DriverMonitor. Thank you for subscribing to the DriverMonitor newsletter. Be on the lookout for the next edition! DriverMonitor runs on your iOS device (iPad preferred) and collects Race-Monitor timing & scoring data and display. For a quick glance, DriverMonitor will share just the info relative to you during the session. 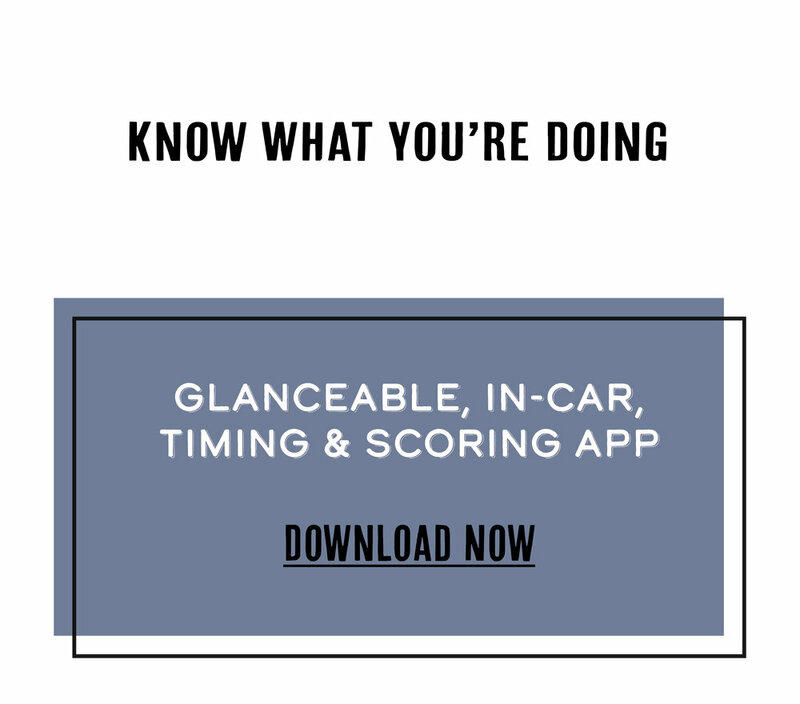 Specifically, it shows your position in-class, time and laps remaining or completed, as well as splits to the leader, the driver ahead, and driver behind you in-class. Alternatively, you can set DriverMonitor to display the lap times of those same drivers. DriverMonitor is available in the Apple AppStore. DriverMonitor is free to install and will connect to live timing data for a short demo period until a subscription is purchased. Once subscribed DriverMonitor will connect to live timing for the duration of the purchased subscription. Subscriptions are available in weekend and monthly terms packaged for both sprint and endurance racing. What information does DriverMonitor show me while I'm on the track? The main Session screen of DriverMonitor provides you just the information you need to make decisions about your race. At the top it provides you your place in class and the session status. Session status can be either time elapsed, time remaining, laps completed or laps remaining depending on what the timing & scoring team is sending in the feed. The status bar or the entire background will change color depending on session status. Green bar for a green track, yellow, red or gray full background for yellow, red or checkered flags, respectively. Below the status bar are three split times or lap times. The purple or top field information about the leader in your class; the middle red field is about the driver ahead of you in class; the bottom green value is the driver behind you in class. In qualifying sessions these values will be splits between your best time and theirs or if you've chosen to display lap times it will be their best lap times. For race sessions these values will be the splits between your and their last start finish crossing or their last lap times. DriverMonitor assumes you have your lap time on your dash so does not clutter its display further. At the bottom button bar of the Session View the left button controls sorting between qualifying and race; the button displays the current sort order and taping it will toggle it from qualifying to race or vice versa. The lock button left of the sort button will lock the sort order from changing; sometimes event organizers will not set the sort order correctly so if you know you're in a race select the race sort order and then lock it from changing (timing and scoring can send a new sort type anytime during the event). Additionally, on the top right of the view there is an R or Q label, signifying if the session is being sorted by qualifying times or race standings, which can also be pressed to lock the sort to the desired type of session. The right button displays whether splits or lap times should be displayed. Tap the button to toggle from splits to lap times and vice versa. If you always would prefer to see lap times instead of splits you can set that as a default in the settings. Once the car is moving or the race has started these buttons are no longer touchable. The session status shows different values depending on the session, what do they mean? Different event organizers can choose to display differing session progress statuses available to you in their timing & scoring software. DriverMonitor tries to display the most valuable information based on what is being sent. For qualifying sessions this will be timing remaining; if time remaining is not sent then elapsed time will be displayed. For race sessions DriverMonitor displays laps or time remaining if sent, otherwise the laps completed by the leader is displayed. For endurance races where the organizer does not send time remaining, after 1 hour of time elapesd DriverMonitor will display time elapsed instead of leader laps completed. The background color of the status row will change color depending on flag status. Normally, before the race or session starts it will be white, when the track goes green the status bar background will turn green. If the track status is yellow or red the entire screen background will display yellow or red. Once the checkered status has been shown the background goes gray. You may still be completing your last lap even though the official session status is checkered. When DriverMonitor infers you are on your last lap it will display the status with a magenta background. DriverMonitor infers last lap during qualifying sessions when time remaining is less than your best lap time. During race sessions last lap is inferred when the leader has one lap remaining or the time remaining is less than the leaders best lap time. For timed events, some organizers add one lap after time reaches zero to complete the race which DriverMonitor cannot infer so it may display this status one lap early. How does DriverMonitor decide to auto advance to the session screen? Being on grid in any series can be stressful at times. DriverMonitor strives to make it as easy as possible to use on grid. Prior to going to grid enter your first name, last name and an alternate first name if applicable (Richard vs Ricky) and/or your transponder number. On grid select the event in the list (it should be at the top under Recent Races if you selected it earlier) and then DriverMonitor will auto advance to the Session View when you appear in the driver list. If you're not immediately listed as a driver in the session, DriverMonitor will keep retrying until the session data is updated by the event organizers. The refresh icon displayed in Red informs you that it is automatically retrying. DriverMonitor searches for you first by transponder or by last name and one of first name or alternate first name. What devices does DriverMonitor run on? Why is it best to use DriverMonitor on an iPad instead of an iPhone? DriverMonitor runs on iOS devices (iPhone or iPad) running iOS v9.3.5 or later. It is highly recommended to run DriverMonitor on an iPad instead of an iPhone as there is no way for DriverMonitor to put the phone into Do Not Disturb mode; you may get calls or texts during the session which would interrupt the app and the driver. As such, if using an iPhone ensure that you manually turn on Do Not Disturb when using DriverMonitor or in later versions of iOS turn on 'Do Not Disturb While Driving.' The iPad must have cellular access in order to run DriverMonitor on the track, unless Wifi access is available circuit wide. How should the iPad or iPhone be mounted in a race car? The phone or tablet should be mounted securely to the car with the ability for it to withstand the acceleration forces that can occur in your vehicle in the worse case scenario of a crash. This can be many times above the normal cornering forces. It is recommended the device be positively attached to the car and tethered such that it cannot impact the driver or leave the interior of the car. Users have had good experiences adapting the QuadLock series of motorcyle mounts to race cars and The Joy Factory seat bolt iPad mounts in enclosed cars. How much does DriverMonitor cost to use? DriverMonitor is a subscription based app. When connected to the live timing services feed when viewing the 'In Session' screen subscription time will be accrued. Subscriptions are available for a fixed duration & ussage amount and packaged conveniently for SPRINT & ENDURANCE racing in monthly auto-renewing and race weekend plans. Example: if you race once per month then purchase a 7-day plan within 7 days of when your event ends. Alternatively, if you race often or in multiple classes a monthly subscription may be more cost effective for you. Monthly subscriptions will auto-renew up to 24 hours before renewal and the current subscription cannot be cancelled but renewal can be turned off in iTunes Account Settings any time up to 24 hours before renewal. What races will be available in DriverMonitor? Why does my phone battery die so fast when using driver monitor? The largest consumers of a mobile device's power is the display, the radio & the GPS. DriverMonitor uses 2 of these constantly. When in the Session page DriverMonitor prohibits the device from going to sleep so it can stay displayed without interaction for the duration of the session. As such DriverMonitor will consume more power than other apps. Note that iPads have substantially larger batteries than phones and DriverMonitor's impact on the battery is less noticeable on an iPad. A simple +12V to USB adapter hard wired into the car's DC power system has worked successfully for users. I'm using a dedicated iOS device in my car but don't want to pay for an expensive wireless subscription. Are there other options available? Yes, there are many 'pay-as-you go' wireless plans that are economical for a device that is not in daily use. We like Ting.com, which charges $6/month for the account and then low data rates for months you use the service. For a typical road racing weekend DriverMonitor use that can be as low as $3 (100MB) additional and no additional charge for months you don't race nor use the data plan. Why are DriverMonitor subscriptions so expensive? DriverMonitor subscribes to a developer API & Feed from RaceMonitor which is billed on a time connected to their server basis. This cost must be recouped. The price is set with the intention the $11.99 per weekend is round off error to the set of tires you're spending for the weekend and provides its fractional basis of value as well, with a reasonable balance of DriverMonitor's ability to cover its costs. Road Racing is a small market (the app is not useful to oval, drag or rally racers, HPDE drivers, etc) and the feed costs must be recouped or DriverMonitor will have to shut down. Monthly subscriptions are intended for users who race frequently or have mutliple race cars which allows them to use the app at a cost level below the per weekend charge.